Nice, clear focus. Great shot! Im a big fan of black and white photography and i totally love your image. I think b/w really brings out and atmosphere and soul in the picture that colour photography misses when it comes ot photography eveyday items like this, Very well chosen medium. OMG like OMG!!! This is a great shot! The detail of the smooth wire around the mic is stunning. The black and white amplify the effects of this photo.. Well done. "Lovely girl your the murder in my world, dressing coffins for the souls i've left to die" ~Smashing Pumpkins~ Adore album. Sorry for the super gay comment. But this is an amazing shot! BTW im not gay.... not that you would think I am.... right? good macro this is my microphone shure is THE microphone and your pict is very nice. Homophbia isn't a family value. I, along with xyccoc, also use Shure mics, but I have an SM-58...one of the best out there... but this isn't about mics, it's about the picture which is VERY good! I really like this. Very well done and in black and white! Also, I'm very familiar with that model so that makes it even better. Life is not about how many breaths you take, but how many moments that take your breath away. Nice shot.. I really like the black and white. This is a really nice subject too and the photo is very clear. Nice job! Beautiful shot! The black and white is perfect! Great Job! i love this! the black and white is cool...nice angle, love it! There is an old saying in the touring buisness. You are officially a roadie when you have used a hammer on stage to fix an SM58, or used an SM58 as a hammer to fix the stage. 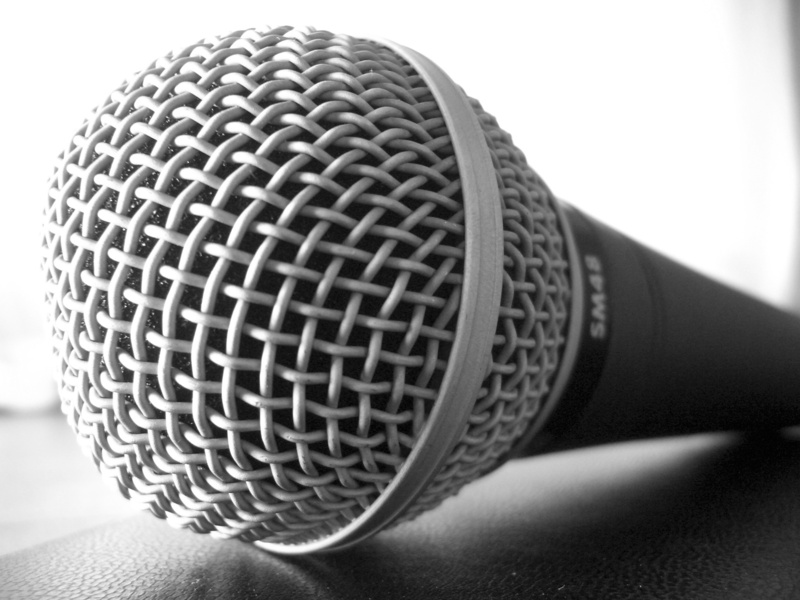 This is one of the first pictures I had downloaded when I joined this site.I really like it because it is black and white and because it is a microphone.The clarity of the image is great and the fact that it becomes blured in the back,makes it even better! Gosh, i like this a lot. I think what would be excelant would be to take it on glass so you could see the reflection underneath. But don't get me wrong I really like everything you did with it. Nice work. Keep it up. Can i use this picture on my website?